YUSUFALI: Whatever is in the heavens and on earth, doth declare the Praises and Glory of Allah: to Him belongs dominion, and to Him belongs praise: and He has power over all things. PICKTHAL: All that is in the heavens and all that is in the earth glorifieth Allah; unto Him belongeth Sovereignty and unto Him belongeth praise, and He is Able to do all things. SHAKIR: Whatever is in the heavens and whatever is in the earth declares the glory of Allah; to Him belongs the kingdom, and to Him is due (all) praise, and He has power over all things. YUSUFALI: It is He Who has created you; and of you are some that are Unbelievers, and some that are Believers: and Allah sees well all that ye do. PICKTHAL: He it is Who created you, but one of you is a disbeliever and one of you is a believer, and Allah is Seer of what ye do. SHAKIR: He it is Who created you, but one of you is an unbeliever and another of you is a believer; and Allah sees what you do. YUSUFALI: He has created the heavens and the earth in just proportions, and has given you shape, and made your shapes beautiful: and to Him is the final Goal. PICKTHAL: He created the heavens and the earth with truth, and He shaped you and made good your shapes, and unto Him is the journeying. SHAKIR: He created the heavens and the earth with truth, and He formed you, then made goodly your forms, and to Him is the ultimate resort. YUSUFALI: He knows what is in the heavens and on earth; and He knows what ye conceal and what ye reveal: yea, Allah knows well the (secrets) of (all) hearts. PICKTHAL: He knoweth all that is in the heavens and the earth, and He knoweth what ye conceal and what ye publish. And Allah is Aware of what is in the breasts (of men). SHAKIR: He knows what is in the heavens and the earth, and He knows what you hide and what you manifest;and Allah is Cognizant of what is in the hearts. YUSUFALI: Has not the story reached you, of those who rejected Faith aforetime? So they tasted the evil result of their conduct; and they had a grievous Penalty. PICKTHAL: Hath not the story reached you of those who disbelieved of old and so did taste the ill-effects of their conduct, and theirs will be a painful doom. SHAKIR: Has there not come to you the story of those who disbelieved before, then tasted the evil result of their conduct, and they had a painful punishment? YUSUFALI: That was because there came to them messengers with Clear Signs, but they said: "Shall (mere) human beings direct us?" So they rejected (the Message) and turned away. But Allah can do without (them): and Allah is free of all needs, worthy of all praise. PICKTHAL: That was because their messengers (from Allah) kept coming unto them with clear proofs (of Allah's Sovereignty), but they said: Shall mere mortals guide us? So they disbelieved and turned away, and Allah was independent (of them). Allah is Absolute, Owner of Praise. 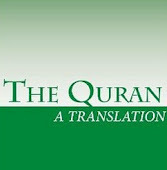 SHAKIR: That is because there came to them their messengers with clear arguments, but they said: Shall mortals guide us? So they disbelieved and turned back, and Allah does not stand in need (of anything), and Allah is Self-sufficient, Praised. YUSUFALI: The Unbelievers think that they will not be raised up (for Judgment). Say: "Yea, By my Lord, Ye shall surely be raised up: then shall ye be told (the truth) of all that ye did. And that is easy for Allah." PICKTHAL: Those who disbelieve assert that they will not be raised again. Say (unto them, O Muhammad): Yea, verily, by my Lord! ye will be raised again and then ye will be informed of what ye did; and that is easy for Allah. SHAKIR: Those who disbelieve think that they shall never be raised. Say: Aye! by my Lord! you shall most certainly be raised, then you shall most certainly be informed of what you did; and that is easy to Allah. YUSUFALI: Believe, therefore, in Allah and His Messenger, and in the Light which we have sent down. And Allah is well acquainted with all that ye do. PICKTHAL: So believe in Allah and His messenger and the light which We have revealed. And Allah is Informed of what ye do. SHAKIR: Therefore believe in Allah and His Messenger and the Light which We have revealed; and Allah is Aware of what you do. YUSUFALI: The Day that He assembles you (all) for a Day of Assembly,- that will be a Day of mutual loss and gain (among you), and those who believe in Allah and work righteousness,- He will remove from them their ills, and He will admit them to Gardens beneath which Rivers flow, to dwell therein for ever: that will be the Supreme Achievement. PICKTHAL: The day when He shall gather you unto the Day of Assembling, that will be a day of mutual disillusion. And whoso believeth in Allah and doeth right, He will remit from him his evil deeds and will bring him unto Gardens underneath which rivers flow, therein to abide for ever. That is the supreme triumph. SHAKIR: On the day that He will gather you for the day of gathering, that is the day of loss and gain; and whoever believes in Allah and does good, He will remove from him his evil and cause him to enter gardens beneath which rivers flow, to abide therein forever; that is the great achievement. YUSUFALI: But those who reject Faith and treat Our Signs as falsehoods, they will be Companions of the Fire, to dwell therein for aye: and evil is that Goal. PICKTHAL: But those who disbelieve and deny Our revelations, such are owners of the Fire; they will abide therein - a hapless journey's end! SHAKIR: And (as for) those who disbelieve and reject Our communications, they are the inmates of the fire, to abide therein and evil is the resort. YUSUFALI: No kind of calamity can occur, except by the leave of Allah: and if any one believes in Allah, (Allah) guides his heart (aright): for Allah knows all things. PICKTHAL: No calamity befalleth save by Allah's leave. And whosoever believeth in Allah, He guideth his heart. And Allah is Knower of all things. SHAKIR: No affliction comes about but by Allah's permission; and whoever believes in Allah, He guides aright his heart; and Allah is Cognizant of all things. YUSUFALI: So obey Allah, and obey His Messenger: but if ye turn back, the duty of Our Messenger is but to proclaim (the Message) clearly and openly. PICKTHAL: Obey Allah and obey His messenger; but if ye turn away, then the duty of Our messenger is only to convey (the message) plainly. SHAKIR: And obey Allah and obey the Messenger, but if you turn back, then upon Our Messenger devolves only the clear delivery (of the message). YUSUFALI: Allah! There is no god but He: and on Allah, therefore, let the Believers put their trust. PICKTHAL: Allah! There is no Allah save Him. In Allah, therefore, let believers put their trust. SHAKIR: Allah, there is no god but He; and upon Allah, then, let the believers rely. YUSUFALI: O ye who believe! Truly, among your wives and your children are (some that are) enemies to yourselves: so beware of them! But if ye forgive and overlook, and cover up (their faults), verily Allah is Oft-Forgiving, Most Merciful. PICKTHAL: O ye who believe! Lo! among your wives and your children there are enemies for you, therefor beware of them. And if ye efface and overlook and forgive, then lo! Allah is Forgiving, Merciful. SHAKIR: O you who believe! surely from among your wives and your children there is an enemy to you; therefore beware of them; and if you pardon and forbear and forgive, then surely Allah is Forgiving, Merciful. YUSUFALI: Your riches and your children may be but a trial: but in the Presence of Allah, is the highest, Reward. PICKTHAL: Your wealth and your children are only a temptation, whereas Allah! with Him is an immense reward. SHAKIR: Your possessions and your children are only a trial, and Allah it is with Whom is a great reward. YUSUFALI: So fear Allah as much as ye can; listen and obey and spend in charity for the benefit of your own soul and those saved from the covetousness of their own souls,- they are the ones that achieve prosperity. PICKTHAL: So keep your duty to Allah as best ye can, and listen, and obey, and spend; that is better for your souls. And whoso is saved from his own greed, such are the successful. SHAKIR: Therefore be careful of (your duty to) Allah as much as you can, and hear and obey and spend, it is better for your souls; and whoever is saved from the greediness of his soul, these it is that are the successful. YUSUFALI: Knower of what is open, Exalted in Might, Full of Wisdom. PICKTHAL: Knower of the Invisible and the Visible, the Mighty, the Wise. SHAKIR: The Knower of the unseen and the seen, the Mighty, the Wise.